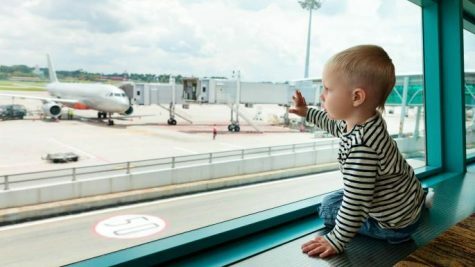 Although some airlines might think about a children-adapted version of their loyalty programs, it seems that the industry has lost the ability to cultivate truly a culture geared towards the airline industry from the early age. A personal experience. While today the question for many children in the developed world is not whether they have already taken a plane, but after how many months (or even weeks in some cases) they did so, this has not always been like that. Although having grown up in one of the richest places in the world, things were certainly still different at my time: When I took my first commercial flight at the age of almost 12, I was indeed one of the first ones in my entourage to do so. And even when our class travelled by plane towards the end of high school at the age of 18, it was the first flight for many of my classmates. But my personal passion for the industry was nevertheless cultivated during my early years, in spite of my limited number of transactions as a customer with airlines and me certainly being anything else than a profitable customer. And probably nobody bothered to predict my lifetime value at that time. One of my early souvenirs is 26 March 1981. On that day, “my” national carrier Swissair celebrated its 50th anniversary. The airline was so well anchored in the culture of the country, that this was indeed a national event. And it inspired me to write a 4-line “poem” (must have been my first one) for Swissair. Certainly not of the quality of what Antoine de Saint-Exupéry was able to do (admittedly, he was elder when he did so! ), but I was proud of it and it must have been a strong expression of my early passion for the industry. So, I did send that poem to Swissair. And for all the young readers here: “Sending” in 1981 meant a lot of work. Hand-written letter, taking it to the post office, buying a stamp etc. But I was rewarded for it with much more than money/miles can buy: A few weeks later, I received, to my biggest surprise and delight, a copy of the staff newspaper of Swissair (on paper, of course!) in which they had printed my poem! And they added me permanently to the distribution list of that newspaper, providing me with valuable industry insights behind the scene. Moving fast forward to today, there are huge customer loyalty, CRM and customer service departments at all airlines. But too often, they reduce their task to managing a currency, data or to reducing customer-related costs. With more marketing and data scientists than avgeeks involved in such tasks, the face of the customer relationship has indeed changed. The ability to cultivate the natural attraction of the airline business – as a first step to create loyalty – is getting lost. And with it probably a huge opportunity for the industry. Comparing to my own past, it is shocking to see how things are changing. Airlines definitely already got more business from my 3-year old son than from me during my first 20 years, reflecting how much the industry has become a mass industry. While volumes have changed, the basic human psychology has not, however. In mid-March, my son took his last flight to date and two events happened, which are probably worth being considered. When starting to fly on that specific airline in 2015 (so not so long ago! ), the airline had a mini loyalty approach for children in form of a logbook, where the pilot had to fill in the details about each flight and sign. After eight legs, the booklet said that you were entitled to some junior pilot certificate. Basically a nice idea to leverage that passion, while adapting it to the mass market. Such simple recognition is absolutely sufficient for young children if done properly. So as the 8 segments were completed, I went to the indicated website – which was no longer in operation… While adult FFP members are unfortunately used to the fact that rules keep on changing several times until you get the award you dream of, this might not be the smartest move with such a cost-uncritical measure aimed at children. So, we wrote a letter to the airline after our return in the old fashion style, addressing these two points. Two months later, there is still not the slightest reaction from the airline (although we’ve also asked to return the logbook for souvenir reasons). And my son stopped asking each day whether we got a reply in the mail. My son certainly doesn’t need that airline to develop further his degree of kerosene in his blood, but some smarter move of the airline could have helped to cultivate some early loyalty – before he might start to care about miles one day. By understanding that each individual contacting an airline – be it on social media or a 3-year old fan – is not a workload, but an individual with a high degree of involvement, customer relationships could indeed look much different tomorrow. We’d have these personalised 1-to-1 relationships everybody is talking about – and would finally leverage the emotional potential of our industry. The financial benefits seem tremendous. The more we move towards a mass industry, the truer this becomes.